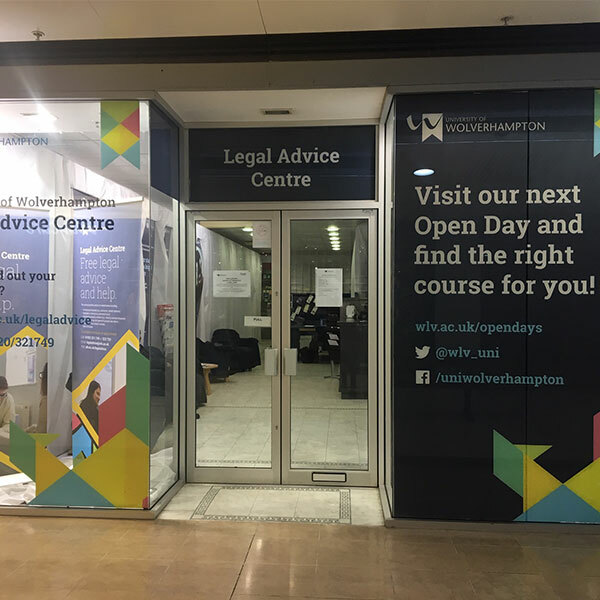 Law students from the University of Wolverhampton will be providing legal support to the public as part of two pop-up advice clinics. Members of the public can attend for a free 20-minute consultation with a qualified solicitor specialising in family law matters, such as separation, divorce, and child custody issues, who will be shadowed by a law student. The first clinic will take place on Friday, 2 November 2018 from 12pm-2pm at University Centre Telford, Southwater One, supported by WMB Law. A second clinic will be held on Thursday, 15 November 2018 from 12:30pm-2:30pm at the University’s Legal Advice Centre on the ground floor of the Mander Centre, Wolverhampton, supported by Thornes Solicitors. Students at the University’s Legal Advice Centre provide free legal advice to the local community under the supervision of law lecturers or practising lawyers. This was set up to provide students with valuable experience and also provide legal assistance to people who are unable to gain help through other organisations. Beverley Rizzotto, Legal Advice Centre Manager, said: “Family Law continues to be an area in which many members of the public require advice and assistance, however due to funding cuts, are not able to afford such representation, or may simply not know whether they are eligible. No booking is required, and slots will be allocated on arrival. To avoid disappointment, it is advised to attend early. The students who study law and volunteer at the University’s Legal Advice Centre will assist in managing the smooth running of the clinics, and sit in on client appointments, shadowing the solicitor obtaining valuable experience of how the law is put into practice.